Product MasterSpec™ is endorsed by the AIA, ACEC, ASID, ASLA, CASE, IIDA, NLA (ANLA), and NSPE. Registration of ICD's OPACI-COAT-300® was the logical next step for the product, which is featured as the industry’s leading sustainable silicone water-based spandrel glass coating. ICD consistently strives to offer superior specification accessibility for all of its coating products to architects and designers. Product MasterSpec™ registration was the logical next step for OPACI-COAT-300®, which is featured as the industry’s leading sustainable silicone water-based spandrel glass coating – specified by world-renowned architectural firms like Gensler, Renzo Piano Building Workshop and MAD Architects. ICD understands the absolute need of highlighting a competitive advantage when carefully selecting project materials – transforming results from expected to extraordinary. Specifications enforce expected performance standards, quality of materials and workmanship – which can’t exist in architectural drawings alone. That’s where Product MasterSpec™ steps in, to provide a time/money saving tool; and ICD steps-up by formulating innovative, state-of-the-art coatings specifically crafted for the sustainably-conscious Construction Industry. Product MasterSpec™ showcases OPACI-COAT-300®’s unique characteristics as the premium selection of silicone-coated spandrel in Division 08 (088000 – Glazing) Section 2.4 J, 3.8 H and 3.10 J. This product is utilized as a Basis of Design, poised for implementation, it’s that simple. OPACI-COAT-300® also achieves fallout protection when applied at 13 mils (wet mil thickness), vibrant color array for near limitless design conception, stringent color tolerance for consistent large-format installations, and application capability on annealed, heat-strengthened and tempered glass. 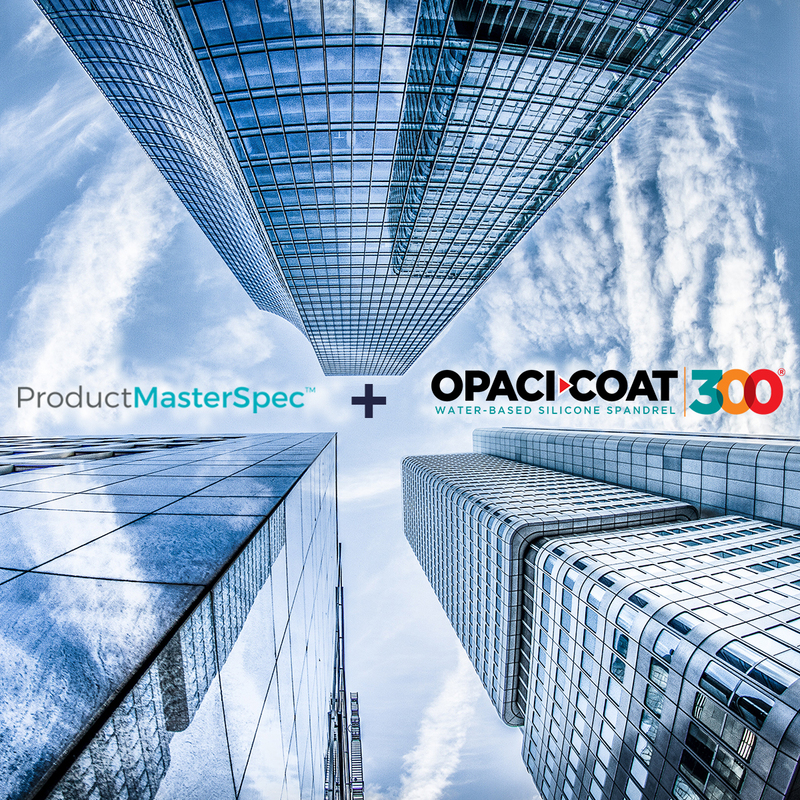 Product MasterSpec™ provides a highly-effective, resourceful specification solution for your next spandrel project with OPACI-COAT-300®.